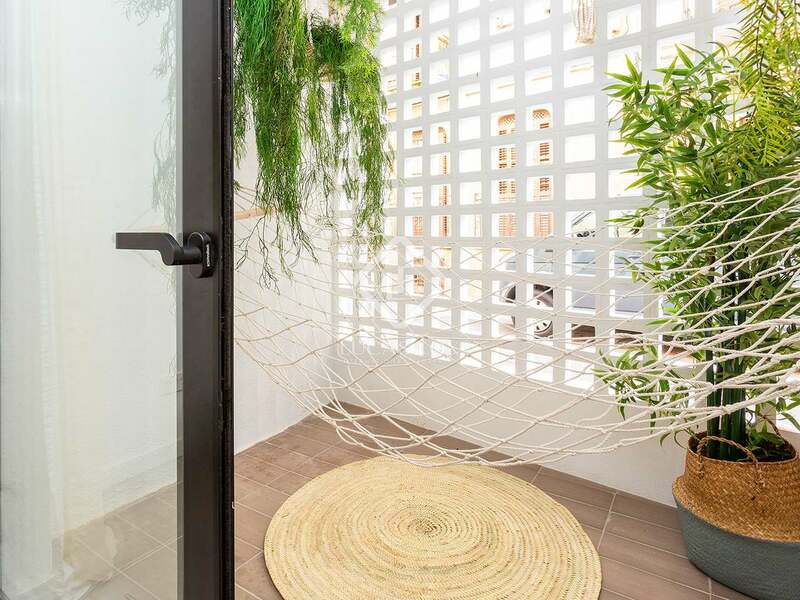 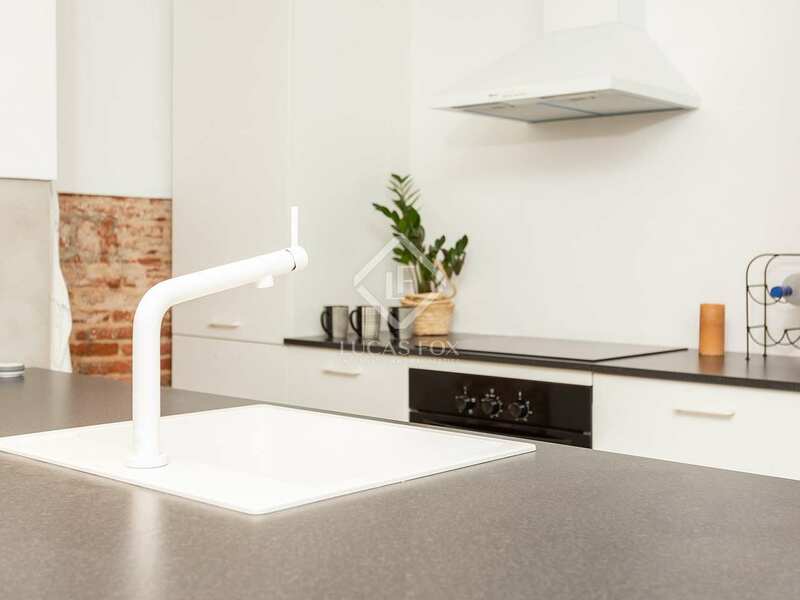 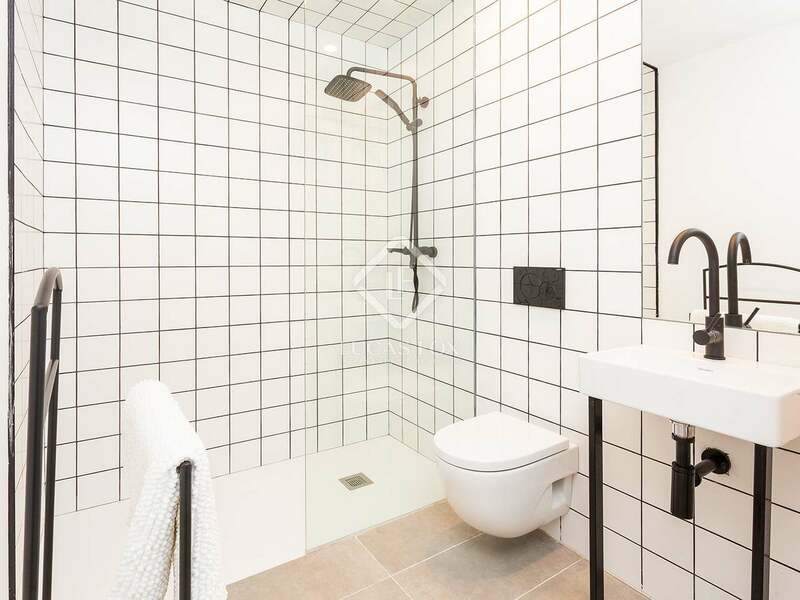 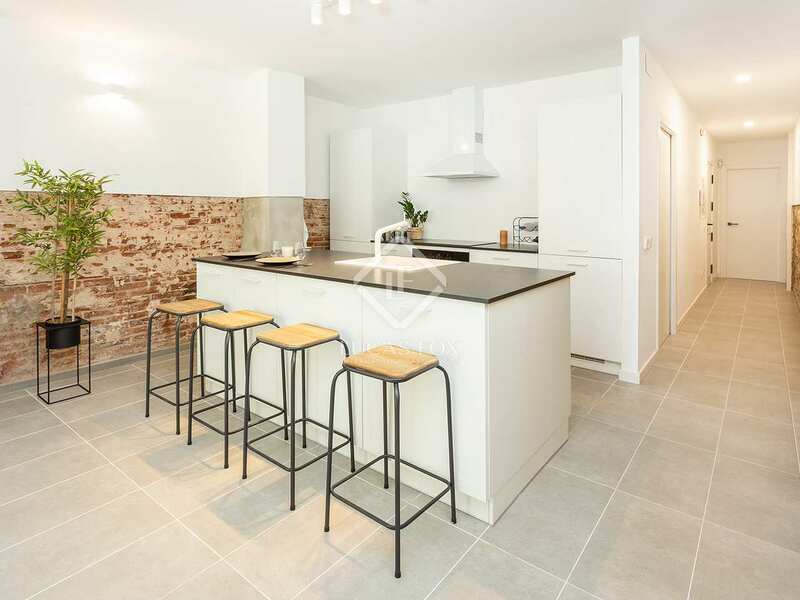 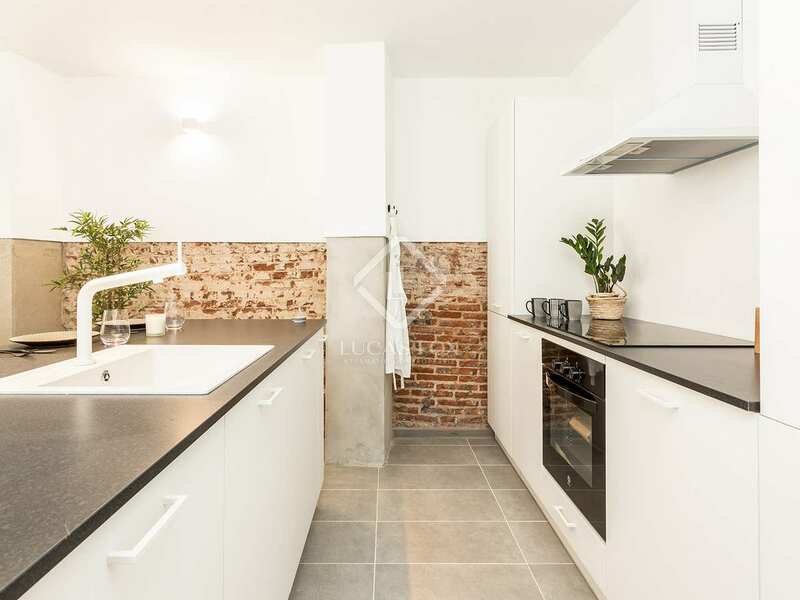 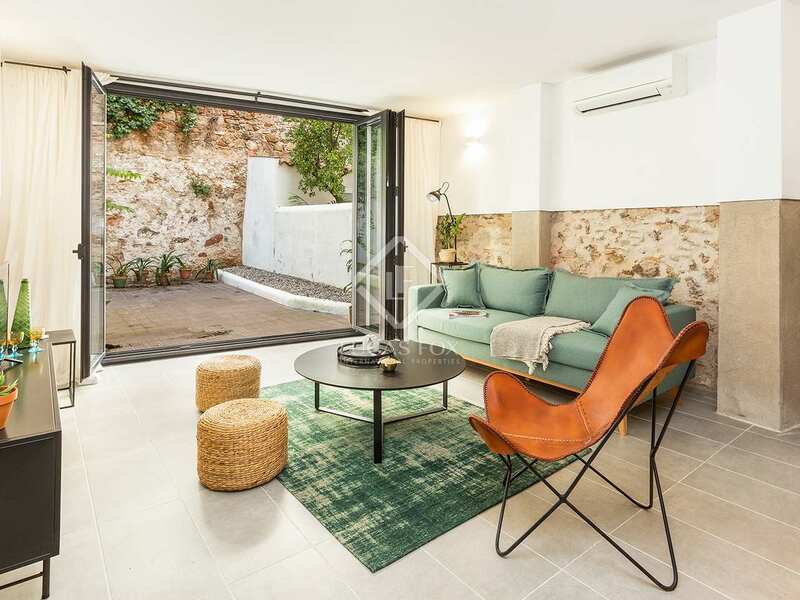 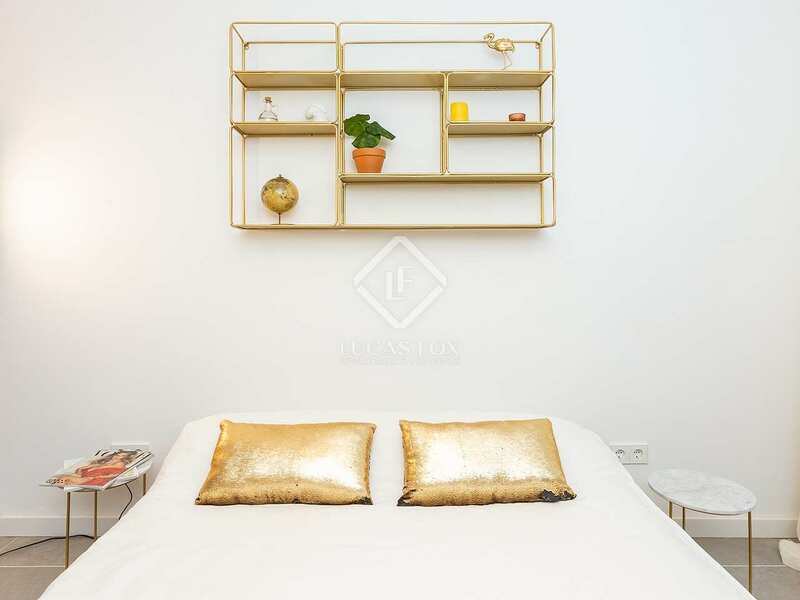 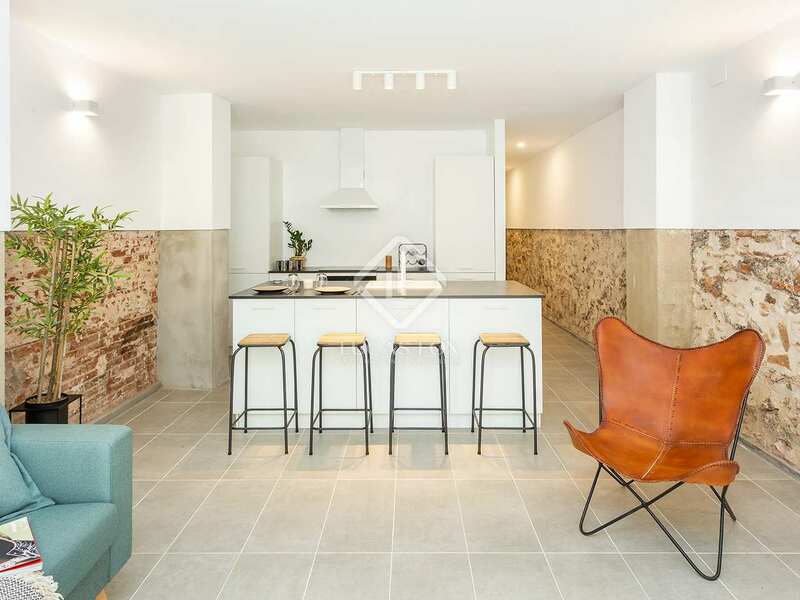 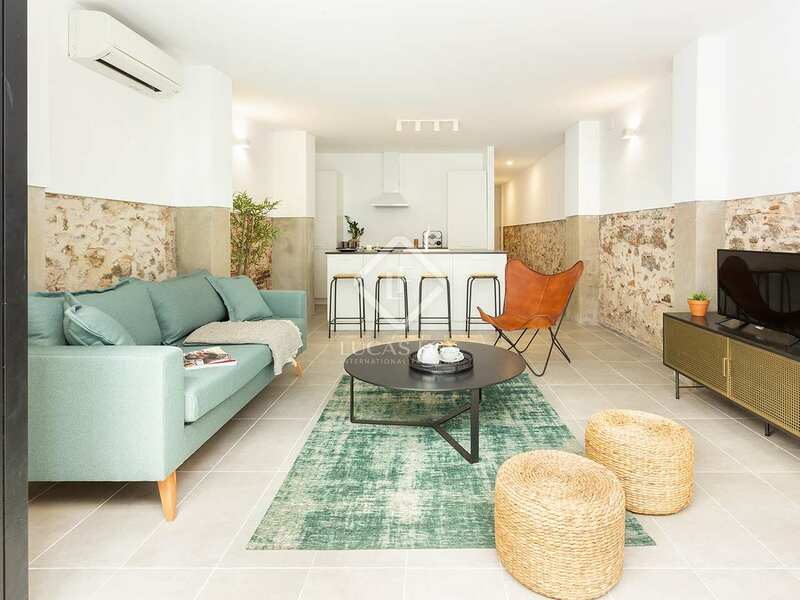 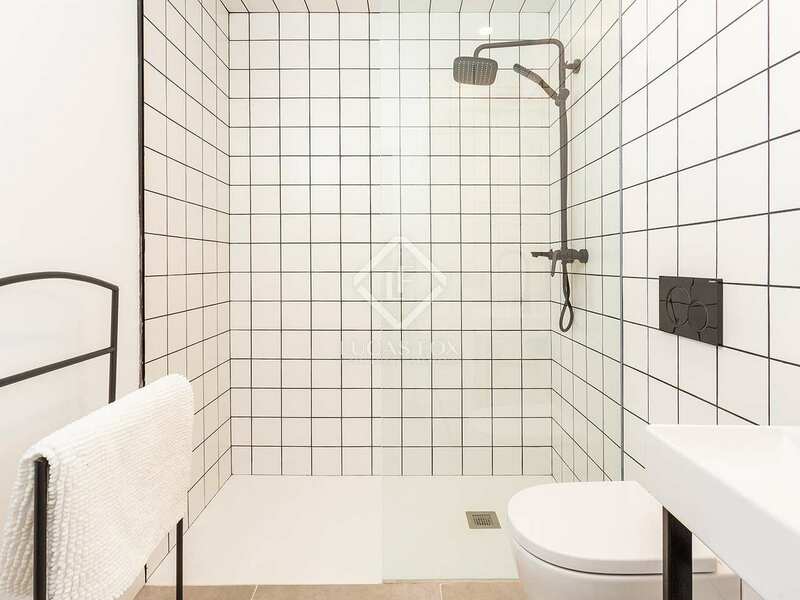 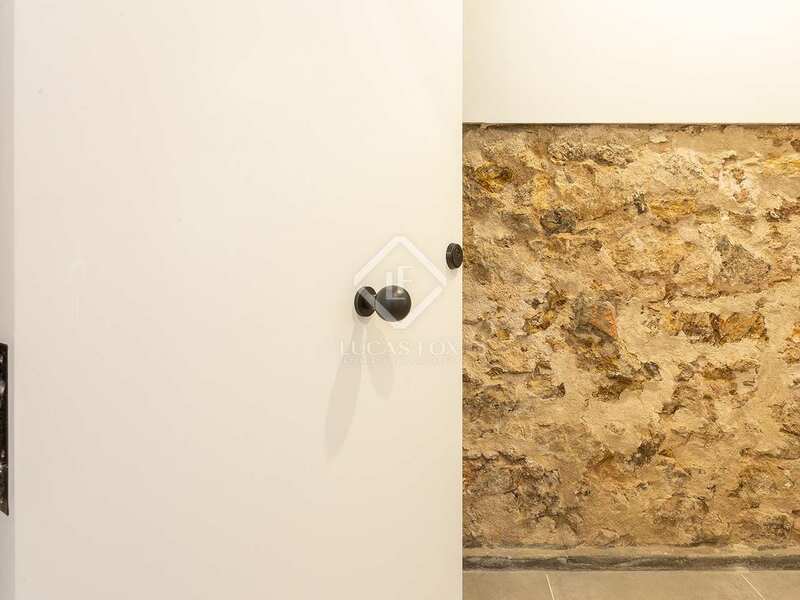 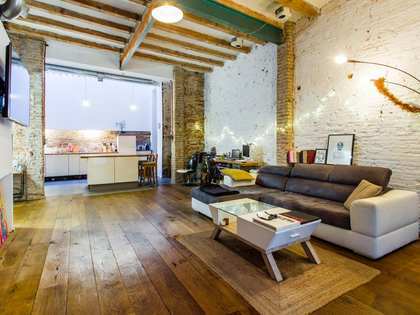 A contemporary 1-bedroom apartment for sale with a large 30 m² terrace for sale in the popular area of Gracia, Barcelona. 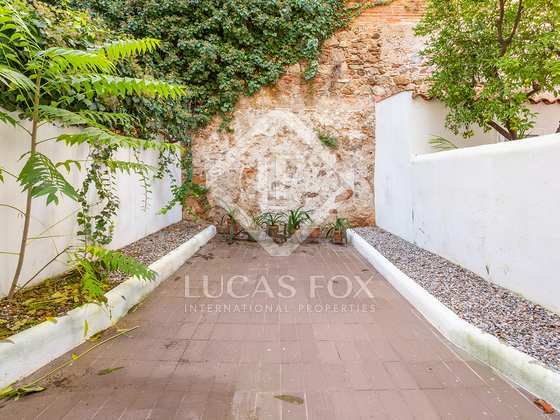 This charming new ground floor apartment enjoys a great location on a very peaceful street with direct access to the Mestre Balcells Gardens. 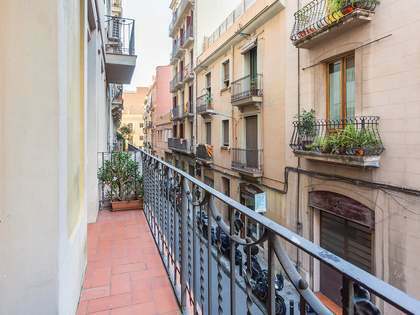 It is just below Travessera de Dalt and Plaza Lesseps, in the Gracia neighbourhood. 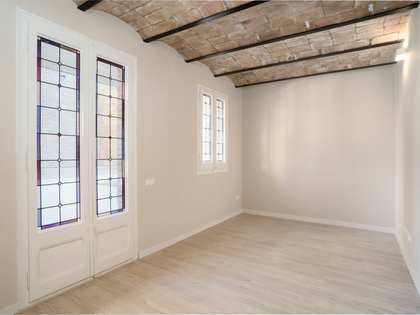 The building has been recently renovated in a modern style whilst maintaining some of the period features such as the original façade and high ceilings. 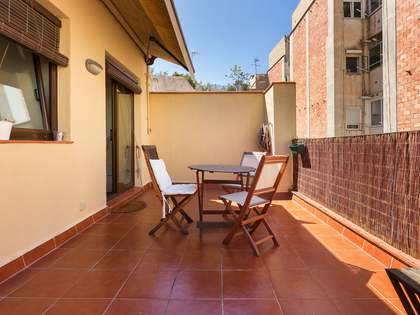 The property is made up of a spacious 20 m² living-dining room with an open plan and fully-equipped kitchen, as well as a bedroom and a bathroom. 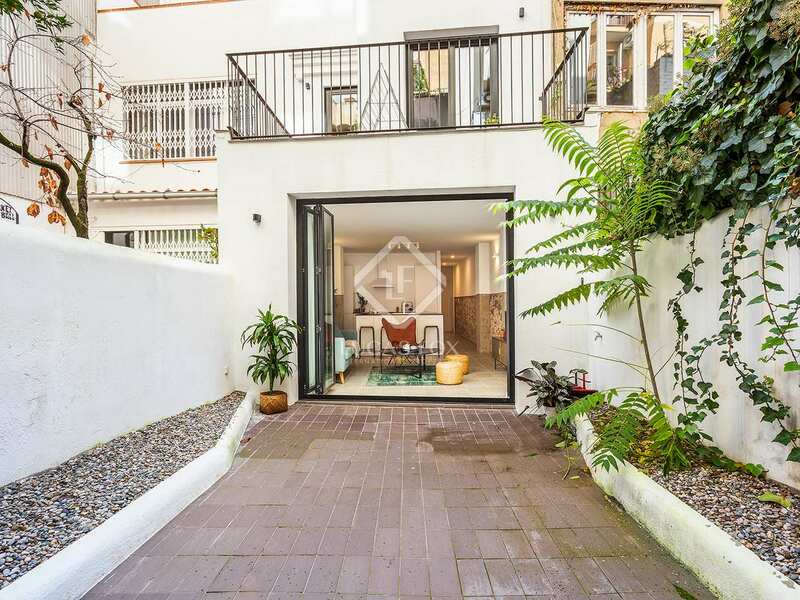 There is access to the 30 m² terrace through the large glass doors in the living-dining room. 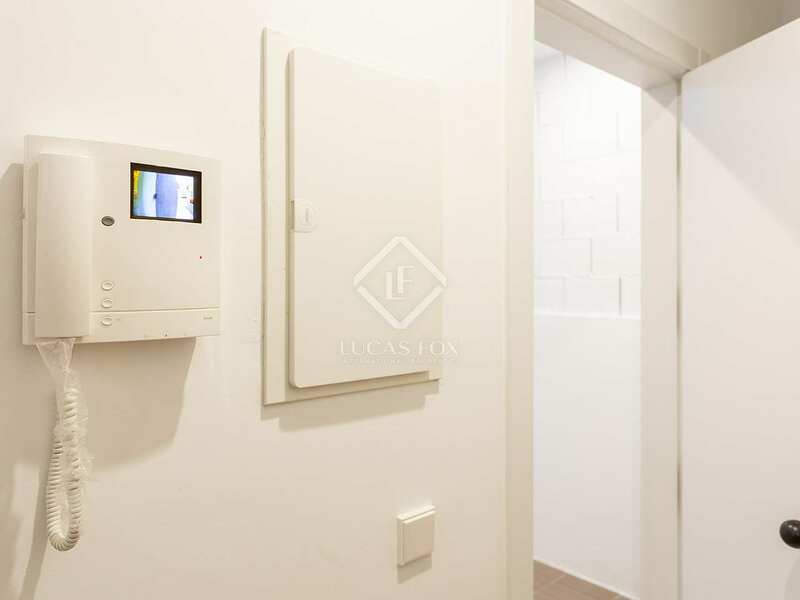 Many of the rooms have large windows meaning that there is plenty of natural light in the apartment and it also comes equipped with air conditioning and heating. 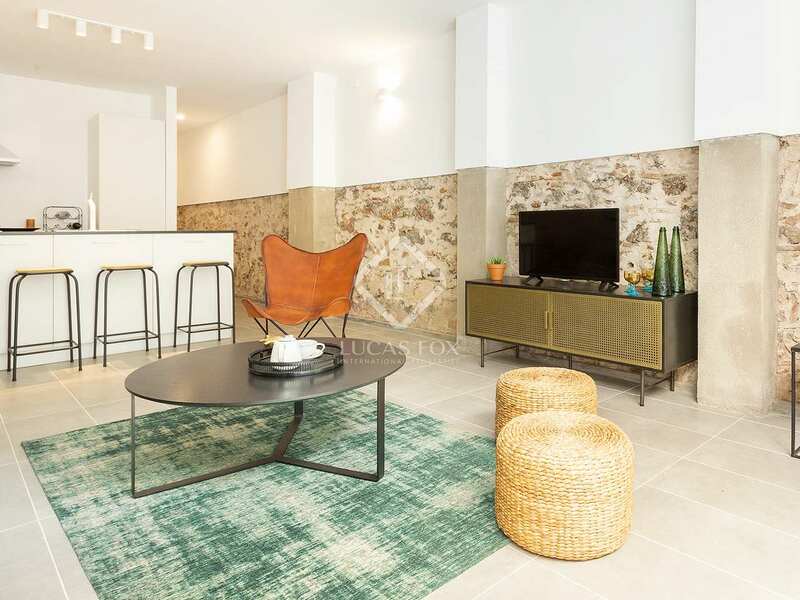 It is located within a stately building with just 1 property per floor: this ground floor apartment, a first floor property and a second floor penthouse. 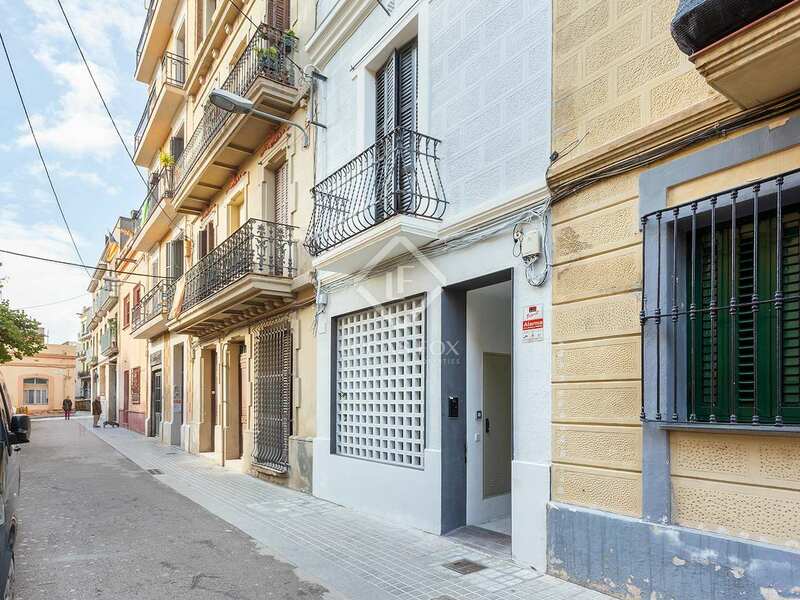 All 3 properties shall be fully renovated and It is also possible to purchase the entire building with a total of 3 apartments; one on each floor. 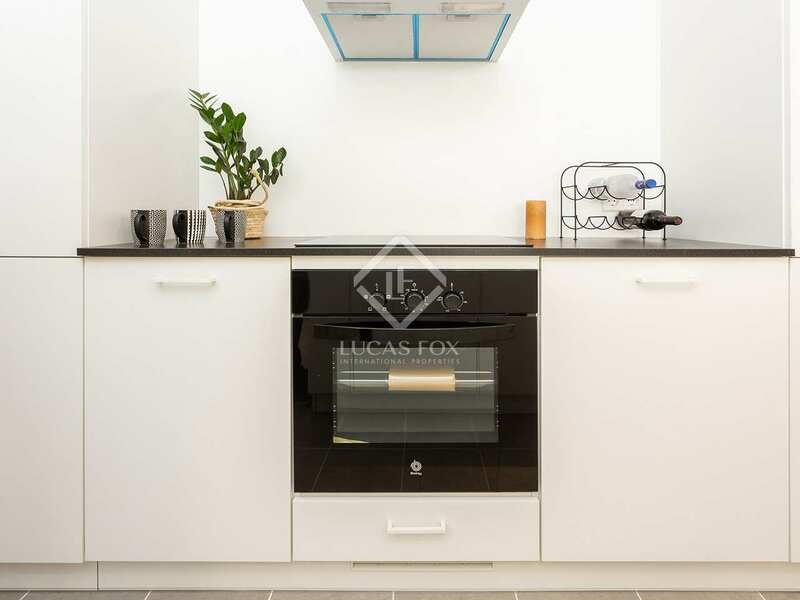 Please ask a Lucas Fox agent for further information. Due to its desirable location the apartment would be ideal for investors, couples or professionals alike. 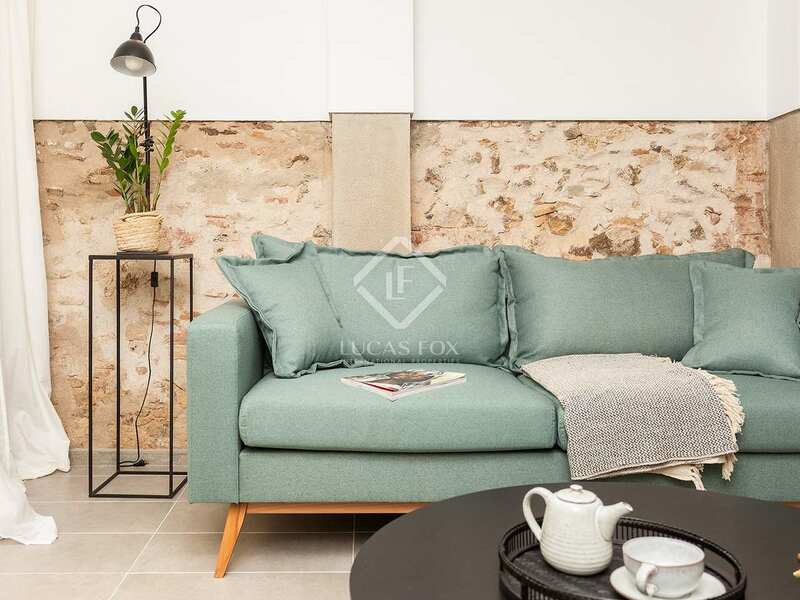 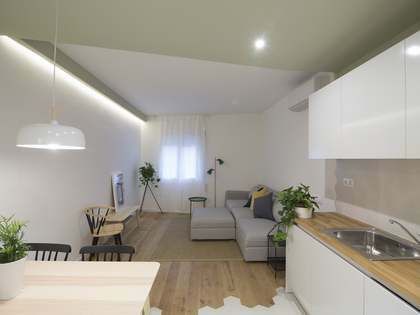 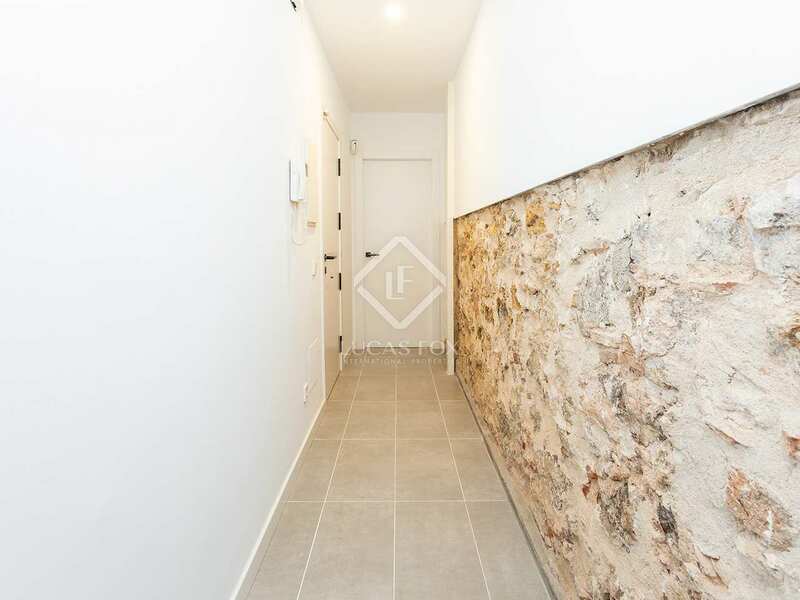 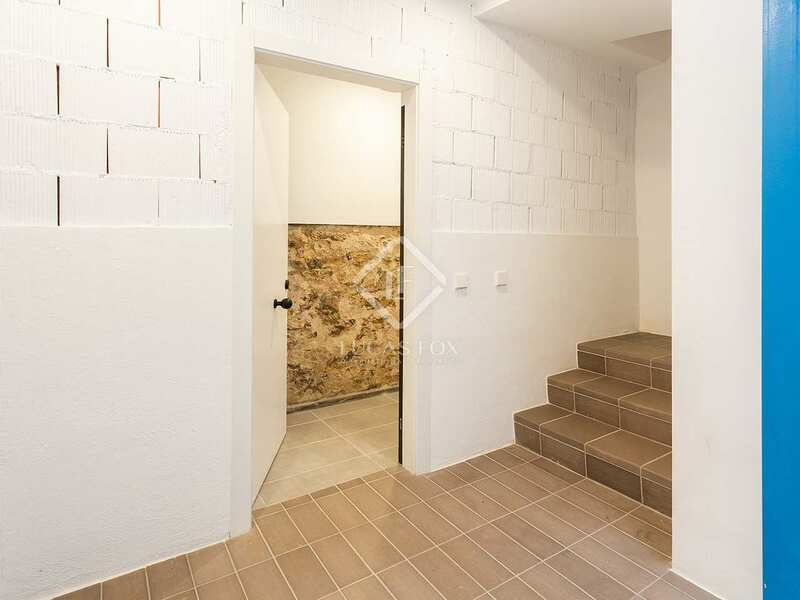 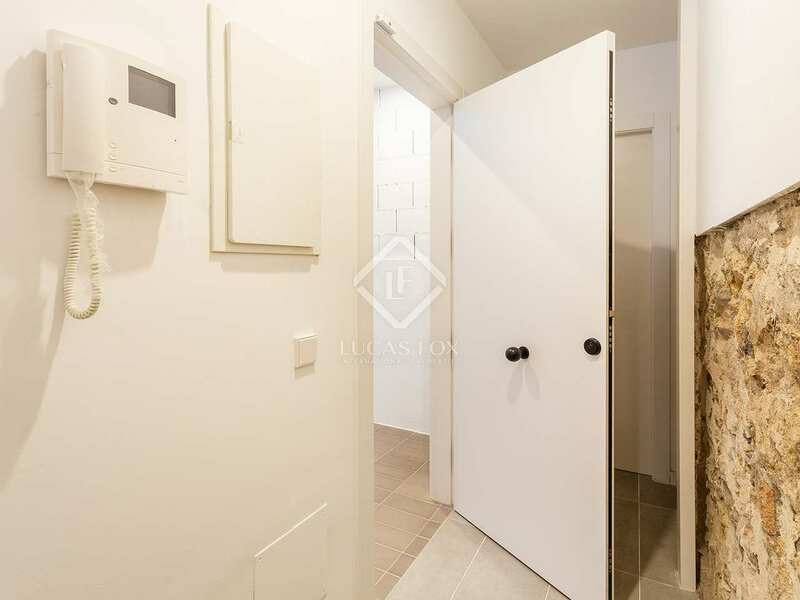 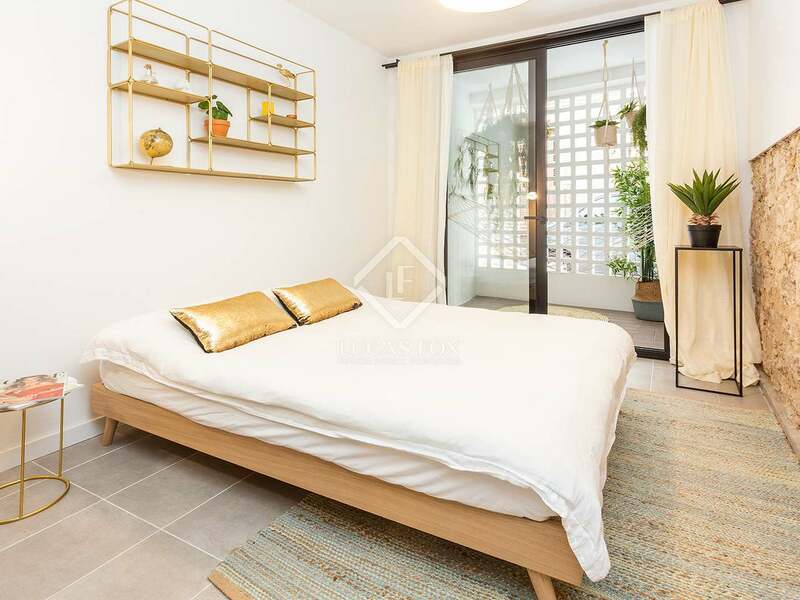 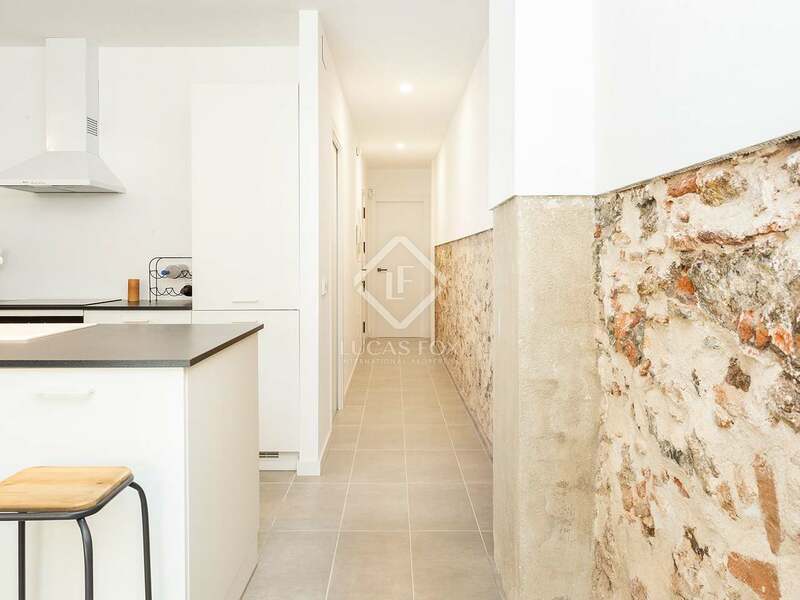 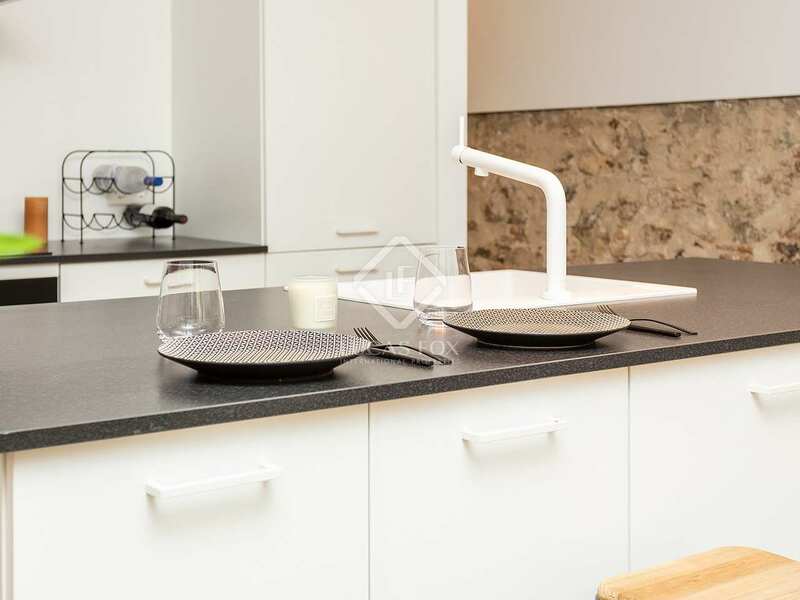 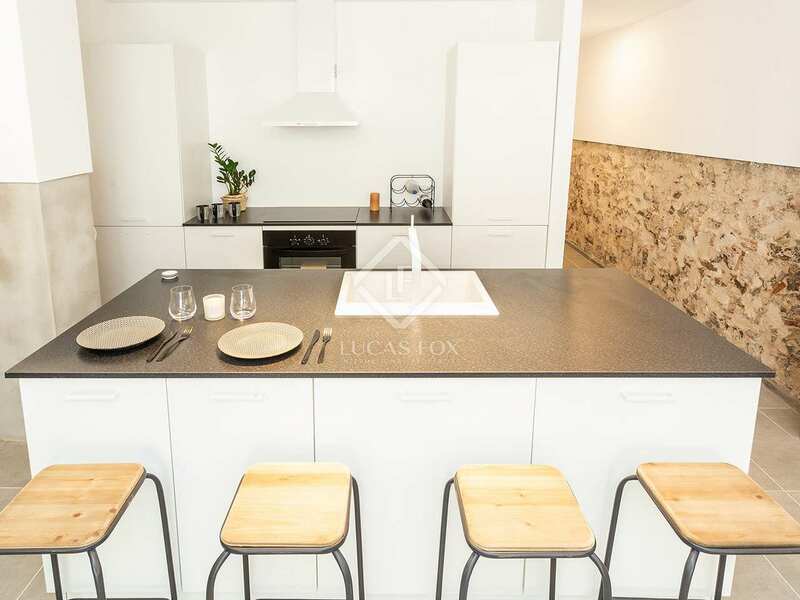 Located in the heart of Gracia, this apartment can be found on a quiet residential street with direct access to the Mestre Balcells gardens. 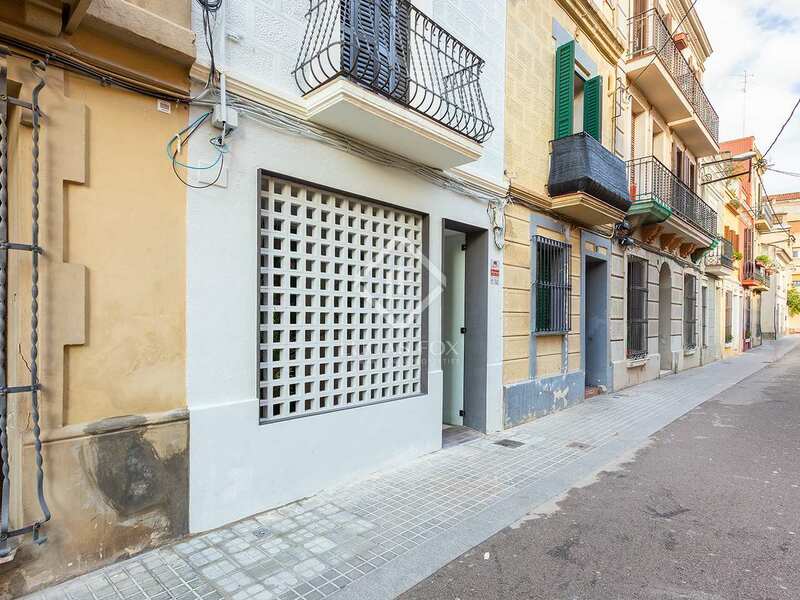 It is located just below Travessera de Dalt and Plaza Lesseps. 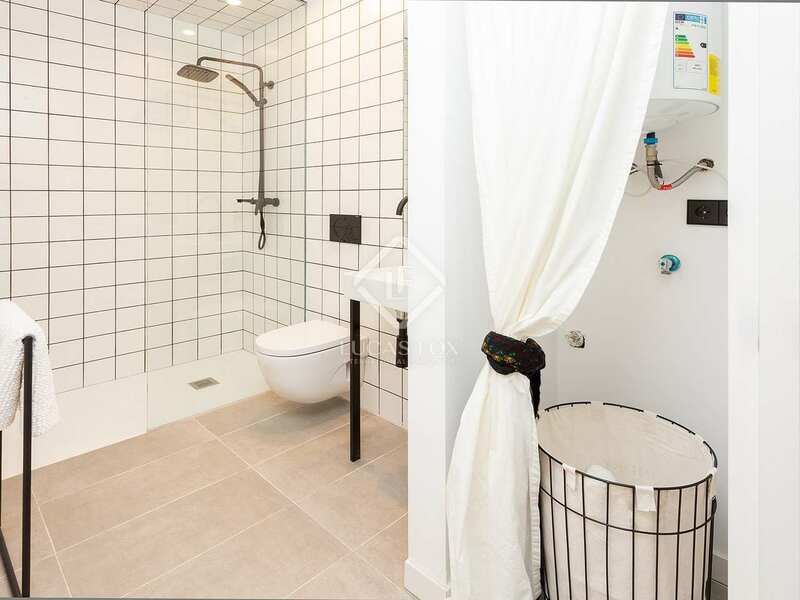 There are many services near-by such as supermarkets, shops, schools and restaurants. 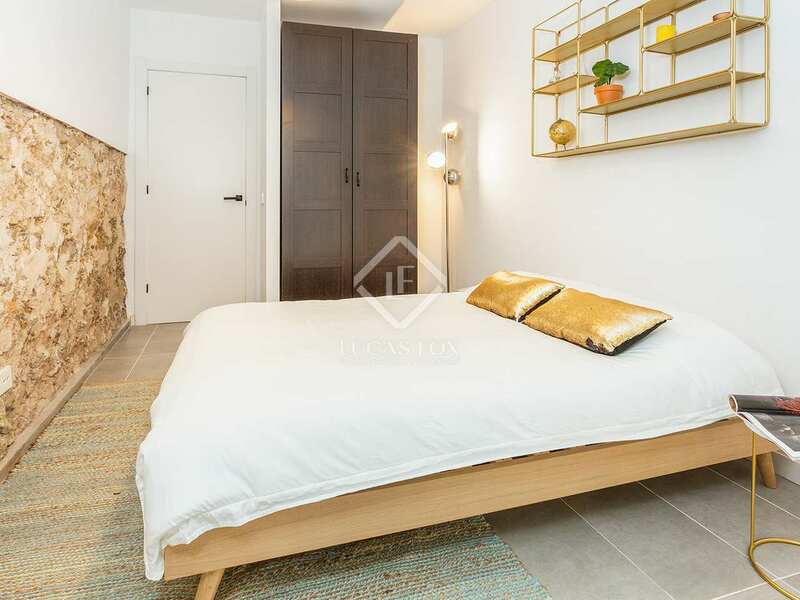 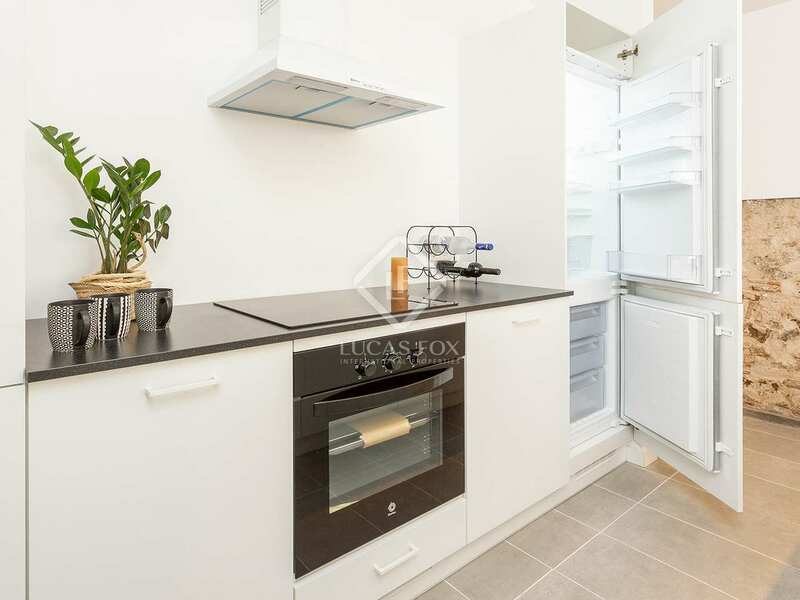 The apartment is well connected to the rest of the city with many bus stops and the Lesseps metro station near-by.